With mortgages currently difficult to obtain, rent-to-own agreements are making a comeback. These agreements, also known as lease-to-own or lease-to-purchase agreements, have benefits for both property owners and renters. Yet if they aren’t approached with understanding, these agreements can sour. Learn what rent-to-own homes are and the pros and cons of rent-to-own agreements to determine if they’re right for you. How Does Rent-to-Own for Homes Work? What are rent-to-own homes and agreements? In rent-to-own agreements, tenants typically rent the home for anywhere from two to five years, paying above market-rate rent to build rent credits. When the lease-to-own agreement expires, tenants can purchase the home for the listing price, minus any rent credits they’ve acquired. If the tenant decides not to purchase the home when the lease expires, the landlord can decide whether to keep the individual on as a month-to-month renter, or ask this person to leave so the landlord can sell the home. What Are the Advantages of Rent-to-Own Homes? Renters who want to buy a home yet wouldn’t qualify for a down payment appreciate lease-to-purchase agreements. They can rent the home for an agreed-upon timeframe (typically several years), then have the option to buy when the agreement expires. This provides extra time to save for a down payment. Individuals with poor credit can work to build credit while renting the home, so they qualify for a better mortgage loan when it’s time to buy. Property owners enjoy steady rental income for the duration of the lease-to-own agreement, then receive a payout if the renter purchases the home. Some landlords like turning over properties through rent-to-own, using the influx of cash to trade up from older housing stock to more desirable (and prosperous) homes. Property owners in tight real estate markets appreciate having options. 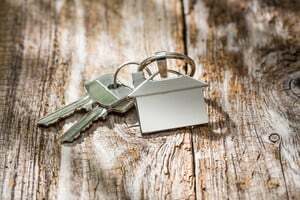 Homeowners who cannot find qualified tenants for yearly leases may prefer to get someone under a rent-to-own agreement than to let a home sit vacant while they cover mortgage payments. What Are the Disadvantages of Rent-to-Own Homes? For renters, rent-to-own means putting more money upfront to build rent credits that will go toward the eventual real estate purchase. If renters’ personal situations change (for instance, they need to relocate) or they decide the home isn’t right for them, they’ll lose the extra money they paid. If the price of the home declines over the course of the lease-to-purchase agreement, renters wind up with less of a bargain. The converse is also true: When home values rise, renters get a great deal on a property that may have been outside their budget. For property owners, rent-to-own agreements work well in tight markets and when prices are flat. If the local real estate market heats up, sellers with existing rent-to-own agreements earn less money than they would have. Individuals considering, “should I rent to own a home?” should have a real estate lawyer review the terms of any agreement. Sellers may put in clauses that disadvantage renters — whether it’s an escape clause if the market improves or a clause prohibiting late payments from earning rent credits. To learn more helpful landlord tips, consider joining the American Apartment Owners Association. Members get access to low-cost landlord forms, educational webinars and much more. See all member benefits, then join AAOA today.